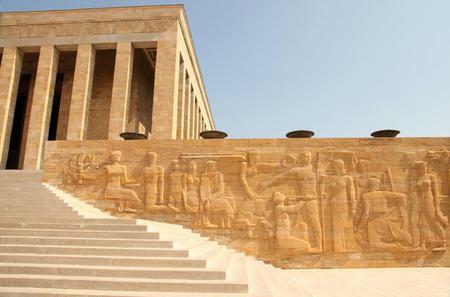 The Museum of Anatolian Civilizations traces the history of Turkey through the ages starting from the Paleolithic era. 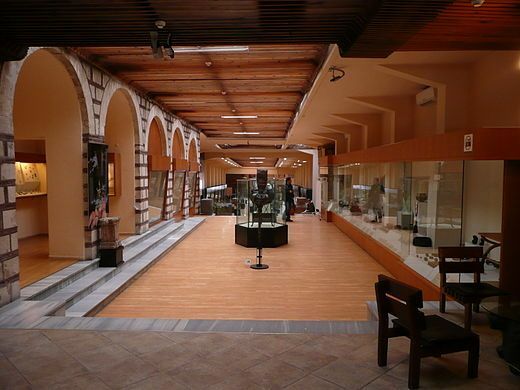 The Museum of Anatolian Civilizations traces the history of Turkey through the ages starting from the Paleolithic era. 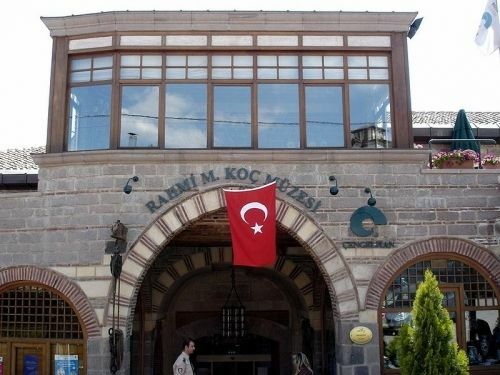 The museum complex has 2 buildings – the Mahmut Paşa Bedesteni, a 15th century covered garment market, and the Kurşunlu Han, a caravanserai established by Mehmet Pasa to finance his philanthropy. The Bedesteni displays chronologically arranged exhibits spanning the Palaeolithic, Neolithic, Chalcolithic, Bronze Age, Assyrian, Hittite, Phrygian, Urartian, and Lydian periods as well as classical Greek, Roman and Byzantine artifacts. Highlights include ●Paleolithic tools discovered in the Antalya Karain Cave, ●a Neolithic Mother Goddess Kybele sculpture, bull heads and agricultural tools from Catalhoyuk, ●baked clay tablets with Assyrian Cuneiform from Kultepe, and ●Hittite relief of the God of War from the King's Gate at Bogazkoy, tablet sent by Egyptian Queen Nefertari to Hittite Queen Puduhepa in Akkadian scripts, and stag figure which was a symbol of Ankara. The Kursunlu Han is the administrative building, and houses the library, research centre and laboratory.